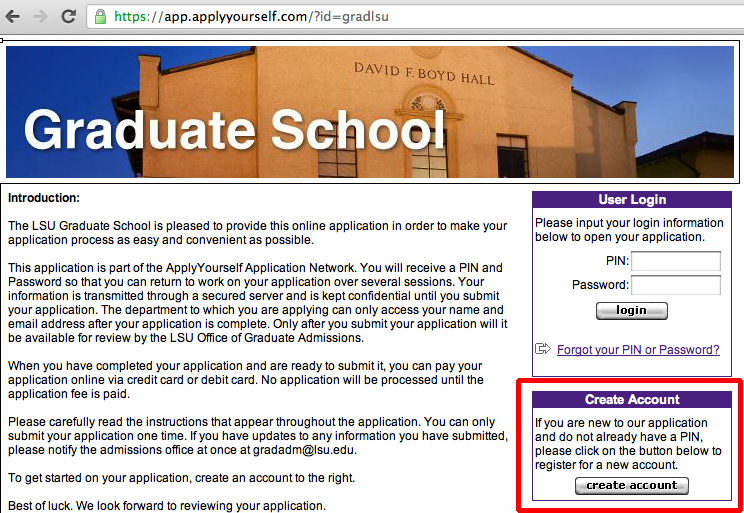 The LSU Graduate School accepts applications online on the website: lsu.­edu/­gradapply. This site is managed by the Hobson's ApplyYourself, a company that services admissions for universities in both the United States and the U.K.
3. You will then be taken to a page to fill out your Account Profile. 4. After you finish filling out your account profile, select create account. 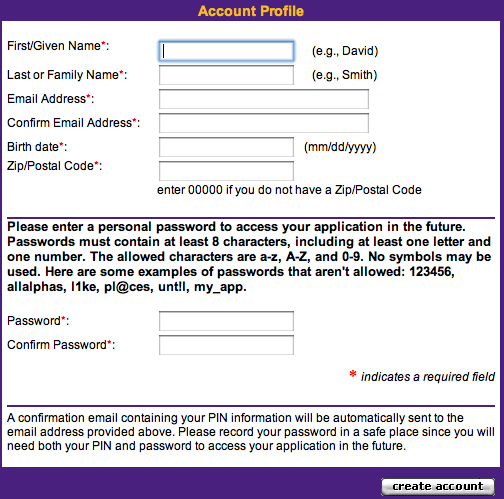 You will then be issued a PIN and Password from the Graduate School, which you will use to login on the LSU Online Graduate School Application page. From there you be able to upload all application documents. To learn more about this application: Note to Applicants. Where do I Send my Transcript for Evaluation?